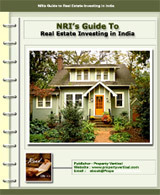 Having a multinational base proves to be an added advantage in serving the NRI clients effectively and efficiently. PropertyVertical.com is well equipped with huge database, reliable expertise, comprehensive and authentic research analysis reports, advisory and consultancy services and updated latest information. Transparency in dealings is ensured through a very systematic and open procedure. The process starts from keeping proper formatted buyer/seller information which is passed on to the sales team. The team then follows according to the availability in our database. Having a qualitative rather than quantitative database helps us to deliver better and customized services to the clients. Keeping all the information and transactions transparent , we endeavor to maintain a difference between the corporate and the open market. The plethora of services offered by PropertyVertical.com not only makes it unique but also proves our capability in dealing with different clients both nationally and internationally with the best results.